In this extraordinary book, you’ll discover how Tibetan Medicine can conquer anxiety. Millions of people suffer from anxiety and depression every year. When anxiety and stress take over, Tibetan Medicine offers tools to treat these conditions with outstanding results. Here, for the first time, Dr. Mary Ryan clearly illustrates the benefits of this ancient and powerful practice. 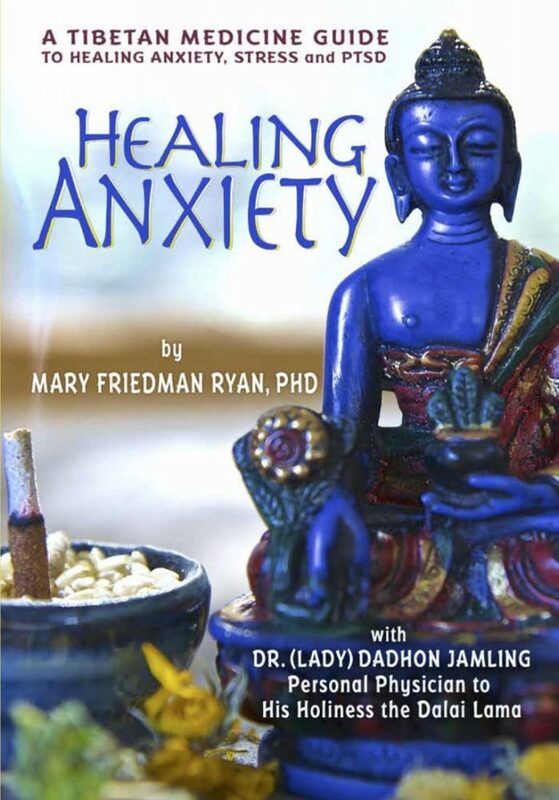 Dr. Mary Ryan tells the case histories of individuals afflicted with anxiety while studying with Dr. Dadhon Jamling, the first female personal physician to His Holiness the Dalai Lama in Dharamsala, India. These first-person accounts center around the life-force energy called rLung. In this book, you’ll learn what rLung is, how to identify when it becomes imbalanced, and how to relieve it effectively. Discover the Tibetan medical way to alleviate anxiety and gain insight with ancient tools that will help you remain calm throughout your life. Learn how anxiety is treated in Tibet and how to practice simple Tibetan healing methods to get your life back into balance. Discover your unique constitution and gain powerful insight into healing yourself with food, recipes, herbs, and aromatherapy. Discover recipes, exercises, and wisdom that holistically treat stress and anxiety. Learn what rLung is and how to heal it with ancient Tibetan healing exercises and techniques—such as massage and moxibustion—that help you de-stress, stay in balance, and soothe your mind.